--EPOTactical.com-- Always outsmarted, never outgunned! I'm an idiot. I completely forgot to post on here that our second comedy firearms video, New Targets, Part 1 is up on our YouTube channel! Enjoy! 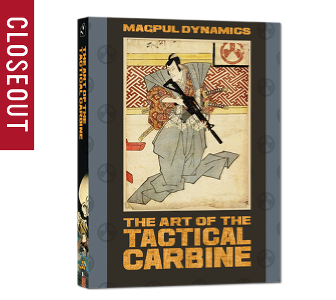 I was browsing the Closeout page of Magpul.com a couple weeks ago and saw they had The Art of the Tactical Carbine Volumes 1 and 2 as well as The Art of the Dynamic Shotgun all on closeout for less than $10. 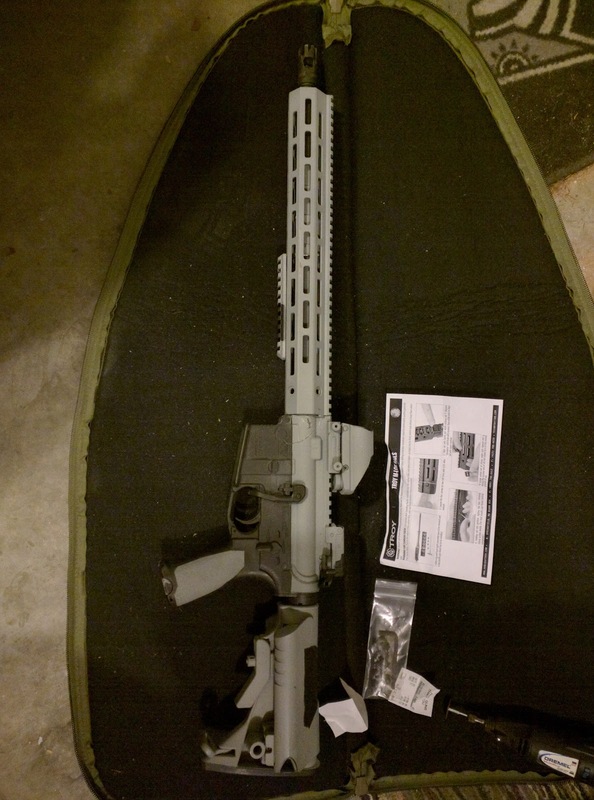 I've never had any formal carbine training, so I threw $7 at them (plus shipping) and yesterday when I arrived home from work, I found TAotTC on my doorstep. First, it's a four disc DVD set and after watching just the first disc of the set last night, I totally feel as though I got my money's worth and then some. Costa and Haley are the instructors in the video and they walk the beginners through the paces in front of the production crew. The instruction is solid, the instructors are down to earth and well spoken, the production values are pretty high. I really felt like I got a lot out of it. For the original $40 retail it would have been worth it, but for $7 it's a no-brainer. If they've got any left by the time you read this, I'd highly suggest you pick it up! You can check out the trailer here on YouTube if you need something to chew on while waiting for the mail. 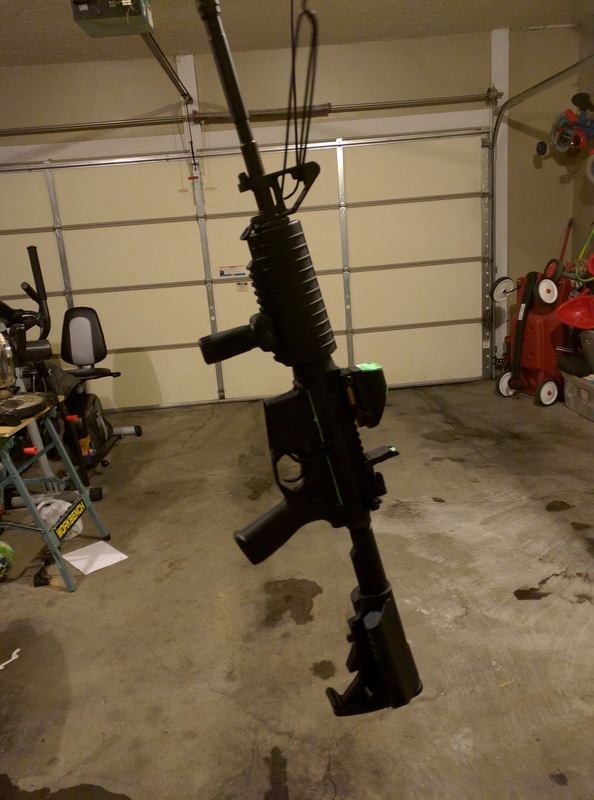 After announcing on at least 3 separate occasions that my AR was "finally done", I found myself still itching to mess around with it. Because I'm that guy, apparently. 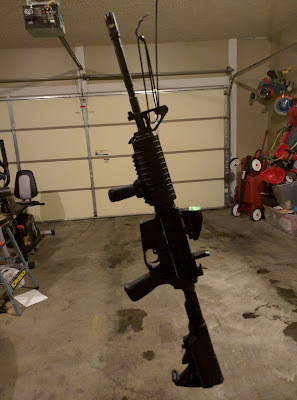 I don't know what it is exactly, the rest of my guns I've pretty well gotten to a point where I'm comfortable with them, then I leave them alone. But the endless possibilities provided by the AR platform... it's hard to stop. As you probably know. 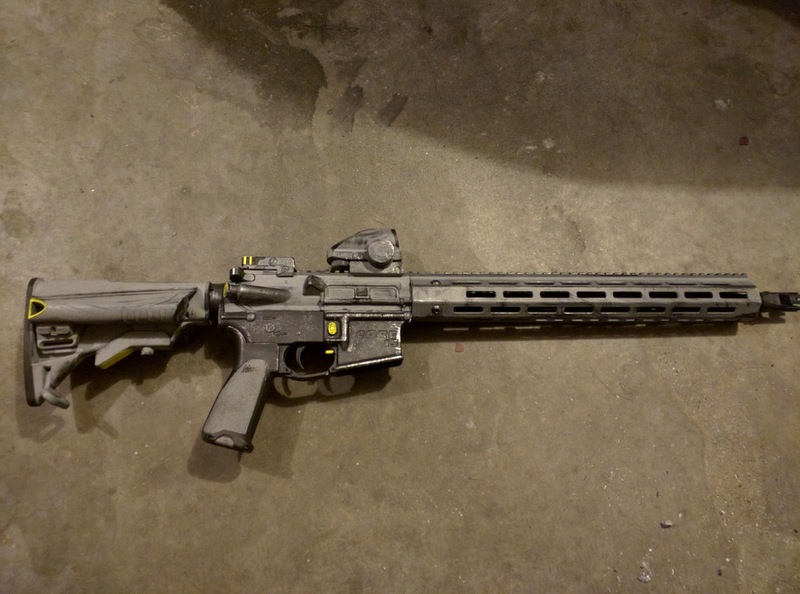 In any case, I felt like doing a little something else to it, but other than replacing the M4 style handguard with some sort of rail, I couldn't really decide what. Brief aside- I like to paint. It's sorta integral to this story. 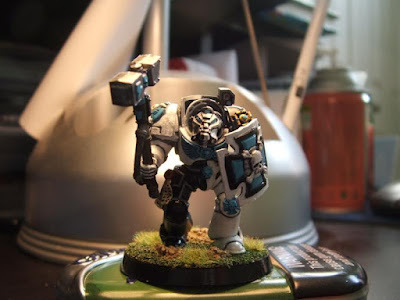 I started painting models for a miniatures war game called Warhammer 40,000 back around the time I turned 30 (holy mackerel- was that really that long ago?). I was horrible at painting when I started. I mean, like 3rd grader using finger paints bad, but I didn't give up because I found painting strangely relaxing. Then over the years, I got better as I practiced and practiced. In the end, I'm not going to win any awards for my painting ability, but I can definitely knock out stuff that I'm not ashamed to show other people. So yeah, painting isn't something I'm particularly afraid of. One of the things I thought might be cool would be to paint around on my guns some. 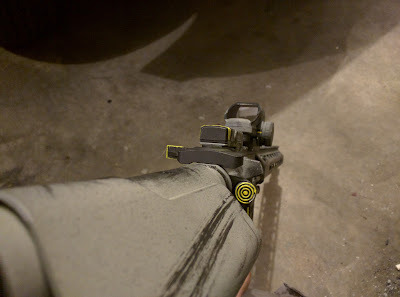 I did kind of a reverse paint-fill on my CZ Scorpion Evo because the lettering is actually raised rather than recessed. 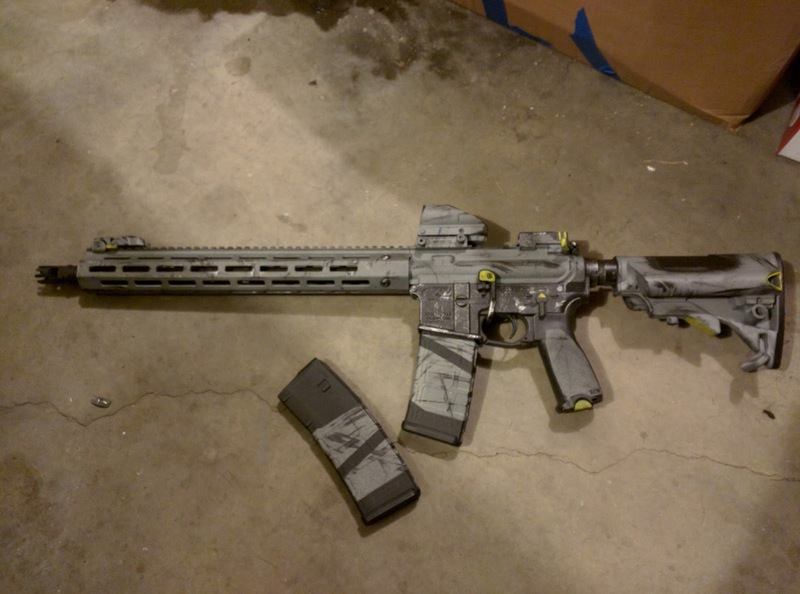 It didn't turn out horribly, so then I painted some hazard stripes on the bottom of my "Uh oh", magazine to help me differentiate it from the mags I use at the range so I don't shoot anymore tracers indoors the expensive Critical Duty it's loaded with most of the time. And my BUG (backup gun) Ruger LCR. And those turned out pretty well too. 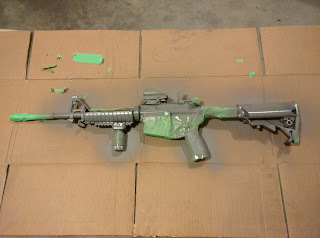 Not to sound stuck-up or whatever, but the paint-fills were not challenging in the slightest for me. The hazard stripes and stuff on the Scorpion really wasn't that much work either once I got over the intial "Oh my God, I hope I don't ruin this gun! ", nerves and second-guessing. 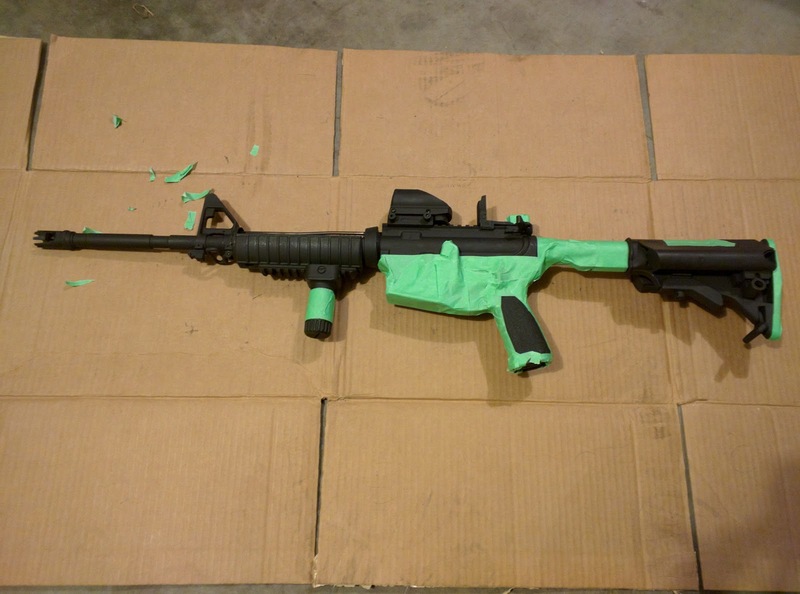 That's when I decided my new challenge would be painting my AR. 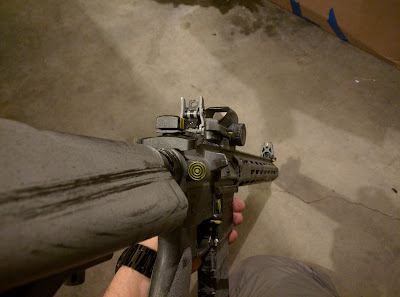 I like my AR a lot. 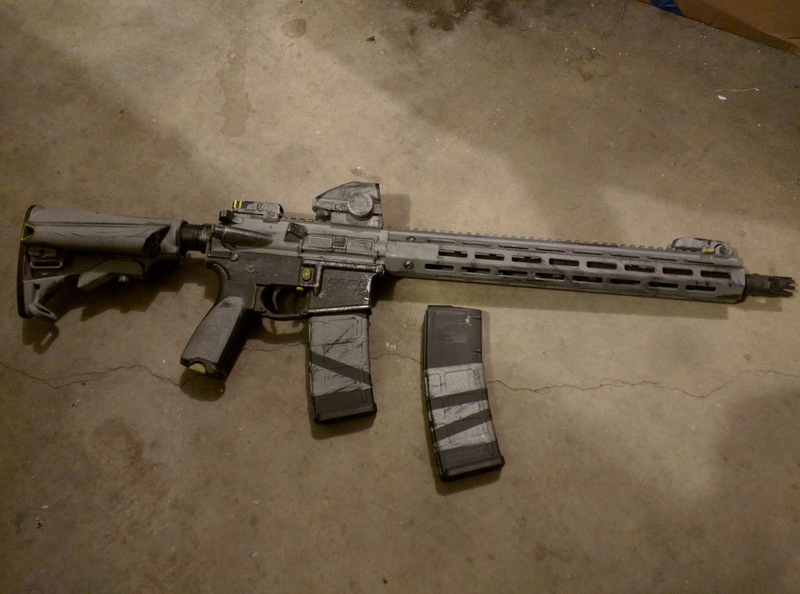 I bought an entry level and upgraded it with some new components that I like to think are PractiCool rather than TactiCool. It's pretty pragmatic without a lot of bells and whistles, but the bells and whistles that are present, are functional and extremely handy. When my desire to paint something more challenging met my desire to do something else to my AR, I started browsing the net for rifle paint jobs. Camo patterns of various hues and complexities presented themselves, but nothing really jumped out at me as something I wanted to try and do or emulate. 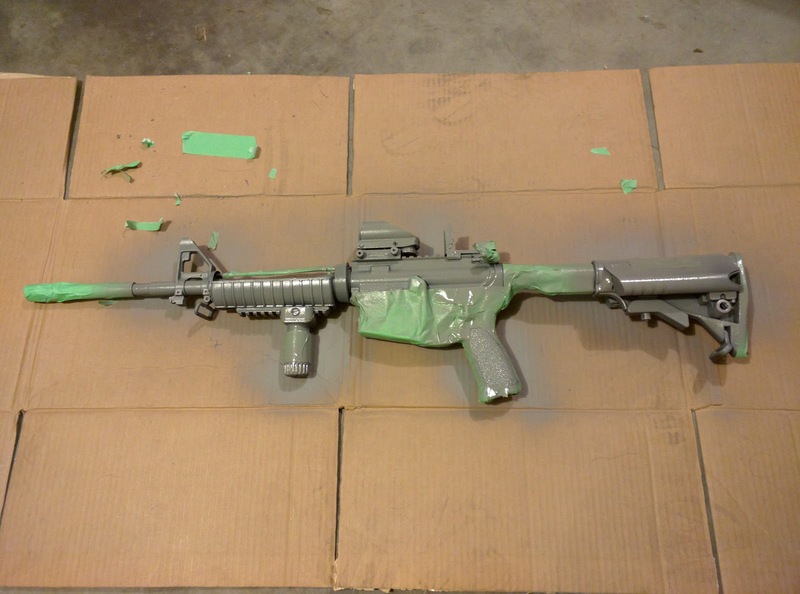 I started switching out search terms, and at some point I ran across Randy Jacobs' brilliant YouTube video on painting a rifle in a post-apocalyptic scheme. Not only do I love the beat-up, lived in look (probably from growing up a Star Wars fan) I was surprised to see that a couple of the techniques that Randy uses on his video are very similar to techniques I've used in painting my little 40k models (drybrushing and stippling, if you're keeping score at home). So here was the challenge- to turn my AR into a post-apocalypse, Borderlands-ish, 5.56 throwin' rifle of nasty aggression. In Part 2 I'll tell you how I did it and how it turned out! If you're like me, you browse around gun shows and online retailers and you come across some special ammo or accessory or other random whatnot, and you think to yourself, "I wonder if that really works? Because man, if it did, that'd be like the dopest ever!" So I'm going to try and review some stuff like that as we come across it. You probably saw in our Couch video that we're using tracer ammo. 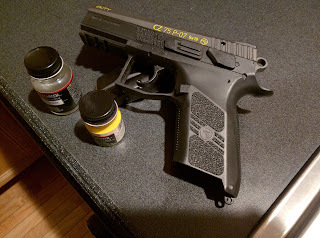 Now, I'd seen YouTube videos from folks using 9mm tracer ammo here and there, but never did anyone mention where they got it other than "a dealer at a gun show", or something similarly useless. I thought using some tracer ammo would give a nice visual for the video and I was determined to find some. 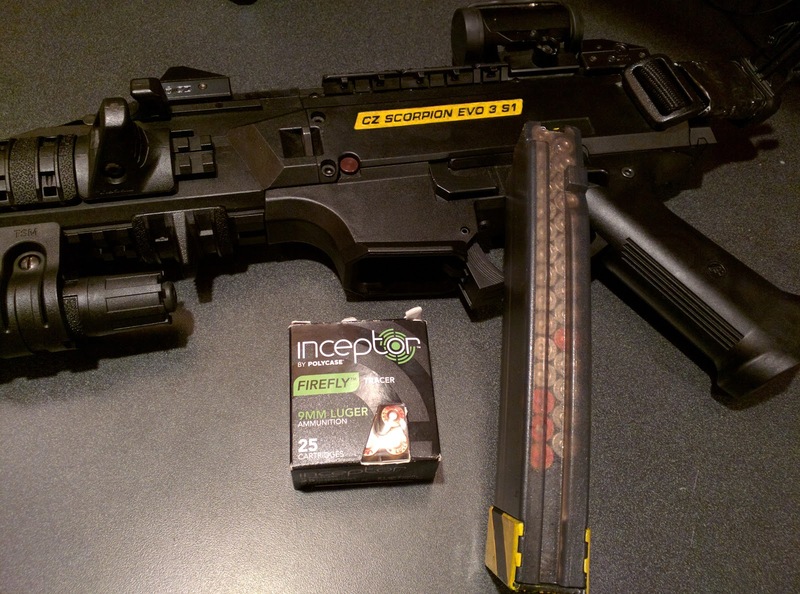 There are several different kinds of 9mm tracers floating around out there. I considered the G2 tracer, but didn't go with it after I read about the technology and how it works because I thought it'd look bad on camera. 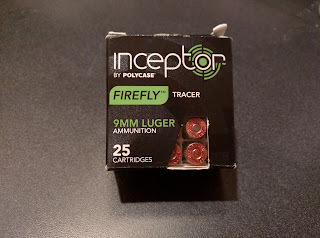 Then I ran across the PolyCase Interceptor Firefly and thought I'd give it a shot- pun intended. I ended up getting very lucky right off the bat with my first try. 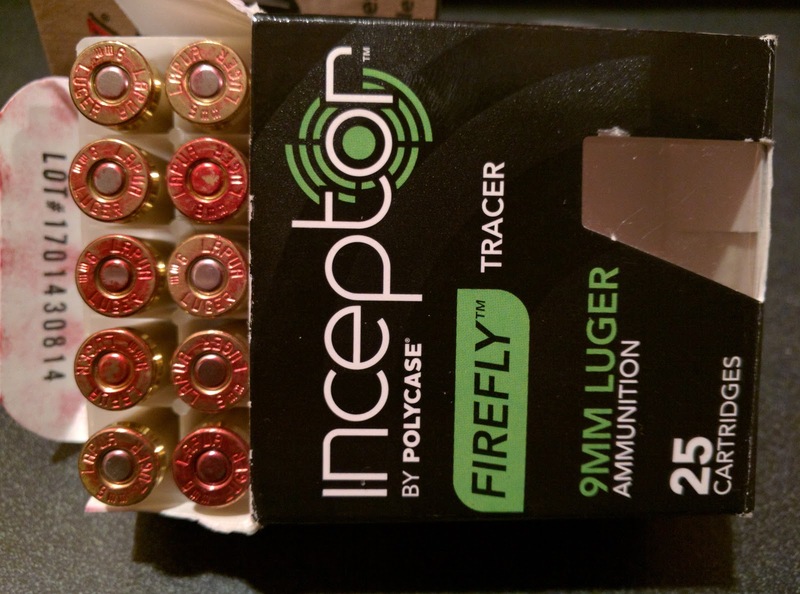 At the time of writing, that box of tracers will set you back about $25 from Munire USA. Note- one, you're only getting 25 rounds rather than the standard 9mm box of 50. Second, they are round nose. 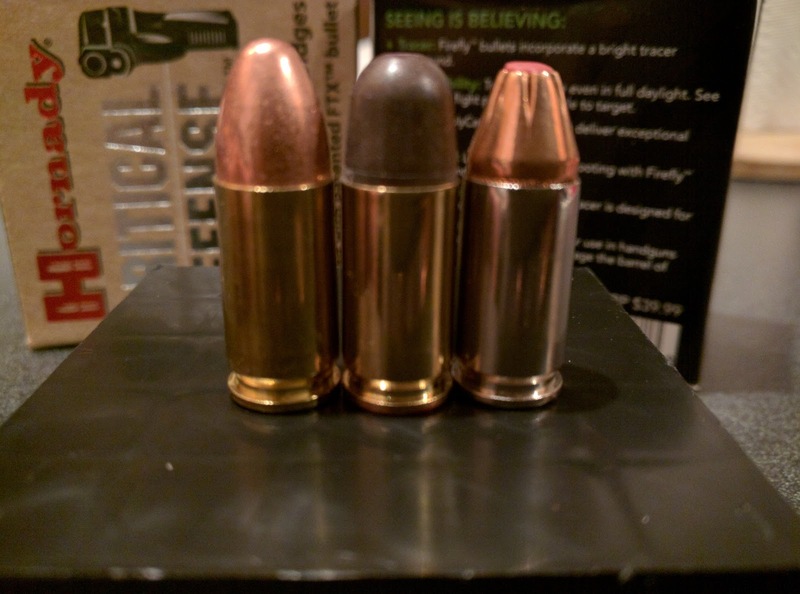 The cartridge on the left is a bog standard, Blazer 9mm round, the one on the right is a Hornady Critical Defense. In the middle is the Firefly. Like 5.56 tracers I've purchased a gun shows, the primer end of the case is painted red to help you differentiate between your buck a piece tracers and your normal 9mm rounds. Unlike 5.56 tracers, you don't have to let the round fly 100 yards before the tracer kicks in. 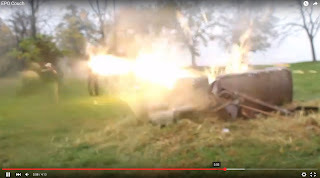 If you've watched the Couch video, you know what I mean- these things are burning as soon as they leave your muzzle. So the burning question- how did they do? Well, the Scorpion ate them just fine, but my CZ P-07 Duty absolutely choked on one. Like lodged in the barrel and had to be pulled out with pliers choked on it. Full disclosure, it could have been the fact that we were shooting video in the rain, the gun was dirty, or whatever but that was literally the first time I've ever had any trouble with that pistol. 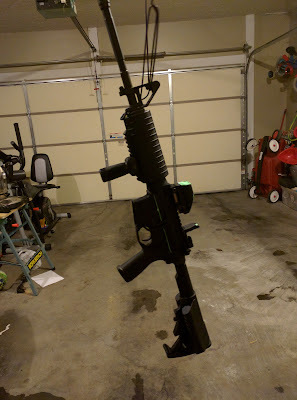 I've fed hundreds of rounds of Remington white box, Remington UMC, Wolf steel case, Blazer, and all kinds of other stuff through there and never had any issues with failure to feed or failure to eject until I tried to shoot a few Fireflies through it. 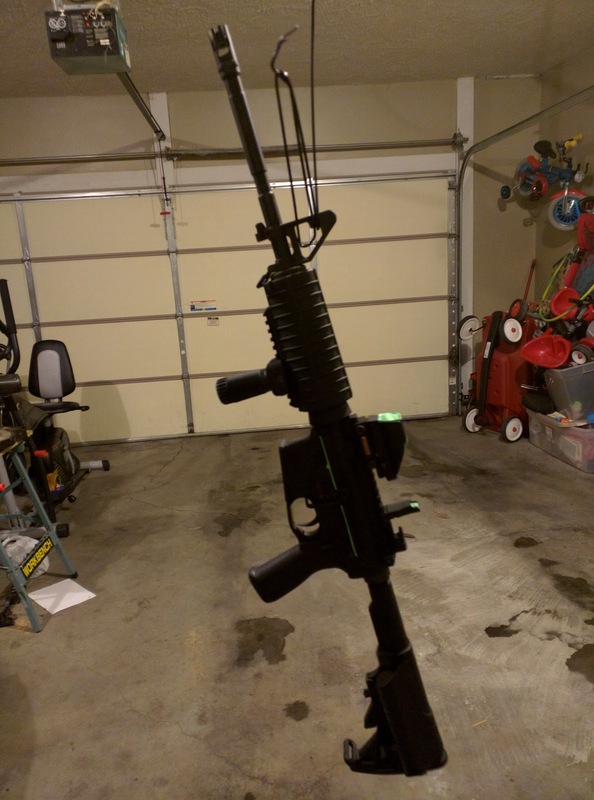 I don't know if the round I used was a little out of spec size-wise or the Duty doesn't do well with round tips or what, but like I said- I had to actually pull the unfired cartridge through the ejection port with a pair of pliers to get it unstuck from the barrel. 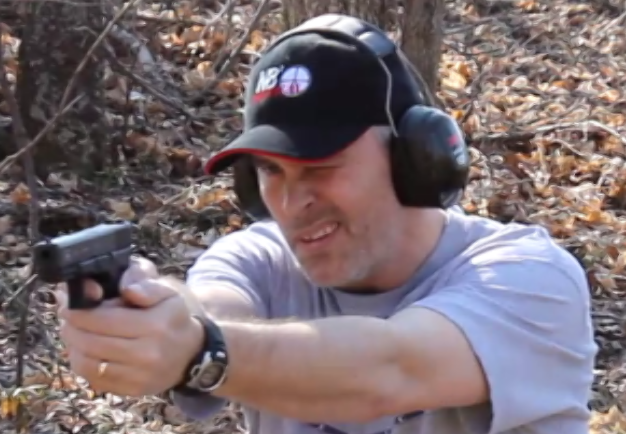 That said, as you know if you've seen the video, D Train and Jeffro had no issue feeding or firing it through their Glocks (cue the GLOCKS R BEST!!!!ONE!!!! guys). 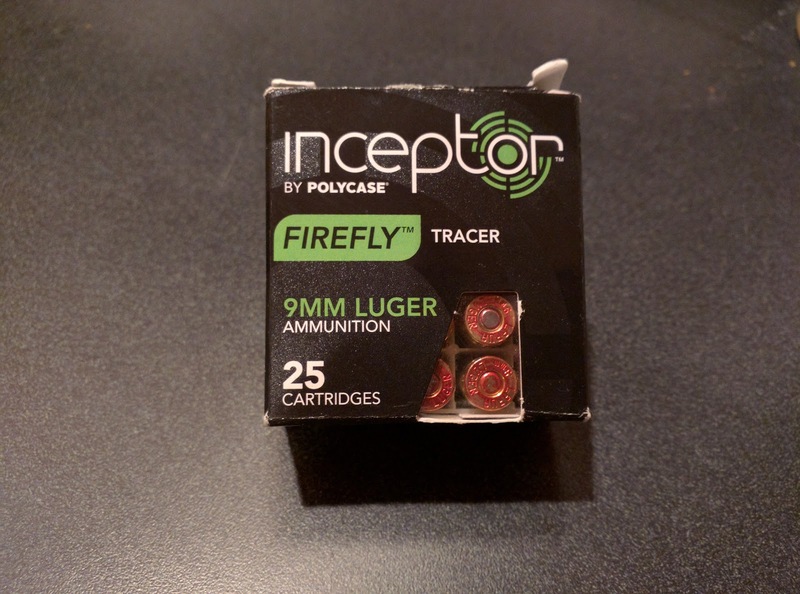 The Polycase site mentions that the Firefly Interceptors are made to have less recoil, be precise, and are made of "advanced materials" to prevent fouling. 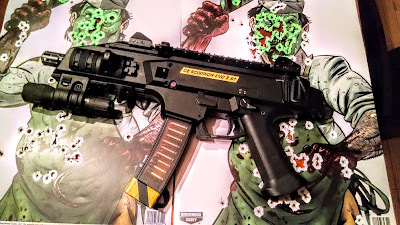 The Scorpion doesn't recoil much anyway so I didn't really notice anything there (site says it's 81 grain @ 1425 fps). The bullet itself feels kinda strange- almost like it's a polymer or something. I didn't mess around with it to see, but it definitely wasn't lead or a brass jacket. In any case, if you're on the fence about buying some. I'd say pick up a box and see if they work in your weapon of choice. 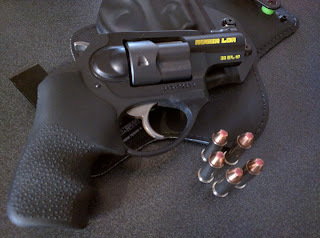 If they feed and eject properly, they really are a hoot to shoot! And follow that link from us up there if you pick them up from Munire (I found no other sites had them cheaper) and maybe they'll give us a sponsorship or something. They do have their uses as well. As you can see in the pic above, in my "Uh oh!" magazine I keep for special "Uh oh!" situations, I have Fireflies in the 20th, 26th, 28th, and 30th and the rest are Critical Duty. The idea of course being I hopefully realize I'm running low when I start seeing the tracers pop out. 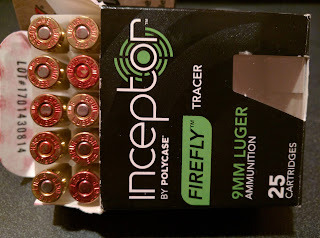 Lastly, if 9mm ain't your poison, you can also buy Firefly Interceptors in .380, .40, and .45. Yup! Our first video is finally done. You can either watch it on YouTube, or simply click on the embedded video below. Always outsmarted, never outgunned baby! Enjoy!